Anti-virus, firewall, and security related material. Today I had the issue whereby System Center would not update license files (.slf) for client PCs for a group in the console. I could add the .slf on the server directly, but could not add it for each client PC. I could also not send virus definition updates to each client either, as the licenses had expired. Anyway, it turns out that the Windows Firewall in XP for each of the clients was blocking these from going through. 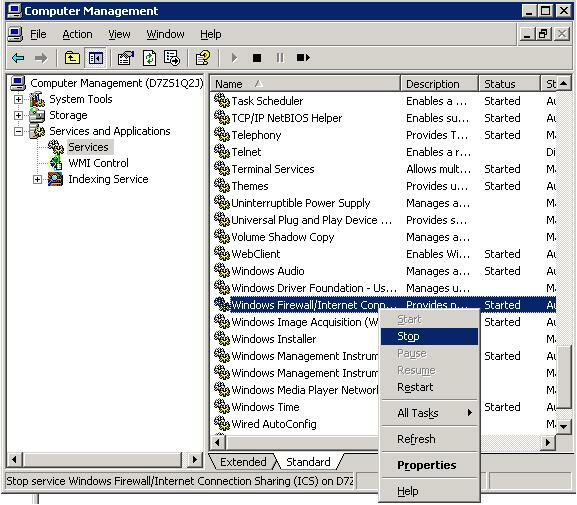 To resolve, just remotely manage the PC in question from the Computer Management console (Right-click My Computer, select Manage). Then click Action – Connect to another Computer. Type in the PC name and click Ok.
Once connected, browse to the services section, find the Windows Firewall / ICS service and right-click it. Select Disable from the menu. 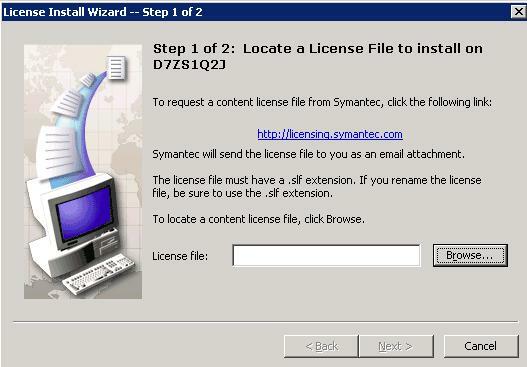 Now that the Windows Firewall is disabled, use the Symantec System Center console to push out the new license file for that PC in question, or a series of PCs. Once done, you can right click the selection of PC’s and update the virus definitions. Be sure to turn the firewalls back on if you happen to use Windows Firewall / Internet connection sharing.